Scarborough (North Yorkshire) has, in the last few years, been beset by a series of poor decisions, failures to observe constitutional procedures, failures to follow employment laws and failures to create lawful parking schemes. All the aforementioned add up to a severe lack of confidence by the population made up of the entire Borough, but predominantly those who live within the historic towns of Scarborough and Whitby. The problem is thought to lie at the fundamentals of the 'Cabinet' model of local government, which carries out much of its decision-making in secrecy, only revealing plans once decisions have been made. Officers within the Council are already under investigation for malpractice and illegal activities, whilst the Borough's Legal Department has failed to ensure that all aspects of the law have been followed in terms of traffic enforcement and also ensuring employment laws are being upheld. We, the undersigned, wish to state that we no longer have confidence in the present Council Cabinet to manage and maintain services whilst ensuring constitutional and legal processes and procedures are observed and upheld, for and on behalf of the people of the Borough of Scarborough, North Yorkshire, UK. Please register your vote of “NO CONFIDENCE” in this Council. 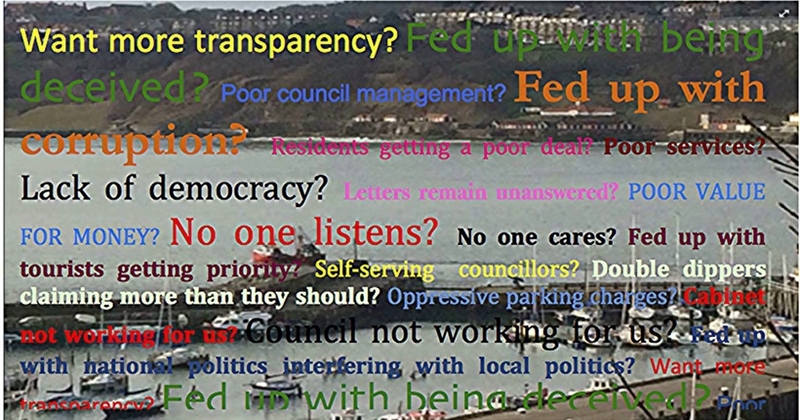 The A vote of NO CONFIDENCE in Scarborough Borough Council petition to Local Government Ombudsman was written by A Scarborough Resident and is in the category Local Government at GoPetition.